Grab one of our new Empower Natural Protein Bars for a protein-packed snack made in 2 delicious flavours and sizes, Chocolate Crunch and Banana Caramel. Conveniently packaged 60gm or 30gm bars available. 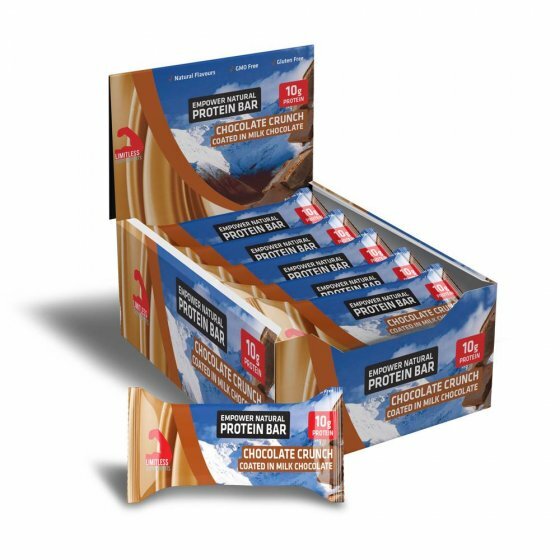 All bars are GMO-free, Gluten-free and Palm oil-free with each 60gm bar delivering 20gm of high-quality natural protein. A seriously delicious snack for people on the go, put one in your training bag today!